What’s to see and do in Northern Ireland? Part travel guide and part learning fun, this book will show you all the highlights. Inside, you’ll explore all the things that make Northern Ireland a great place to live in, visit or learn about. 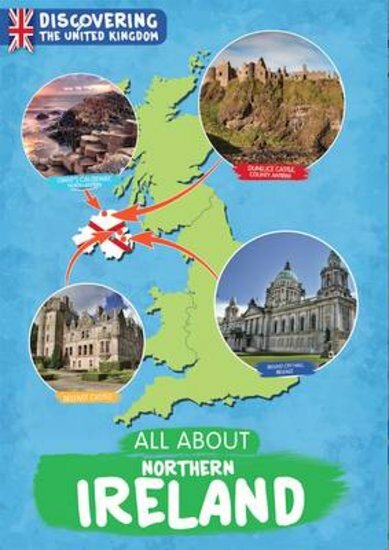 The destinations you’ve always wanted to see, from Belfast castle to the Giant’s Causeway. Irish dishes that will get your mouth watering, like Ulster fry and boxty. The people who live there, the regions/landmarks and all the coolest things about Northern Ireland right now. Want to visit? Read this first. Lucky enough to live there? Make the most of it.